This entry was posted in 2017, Happy October! 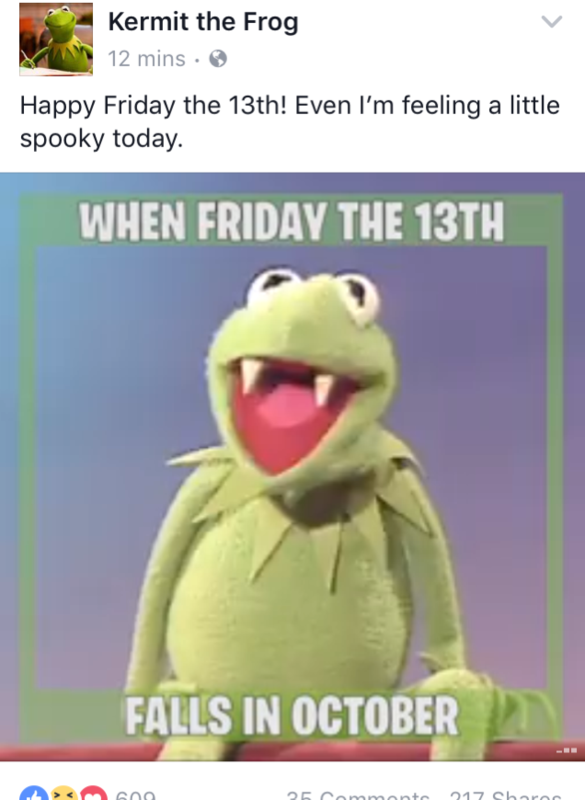 🍂, Trending/News and tagged Friday the 13th, Kermit the frog, Muppets, October 13th 2017, October 2017, Spooky. Bookmark the permalink.